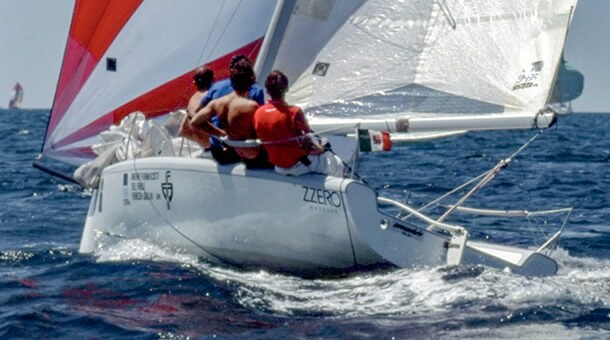 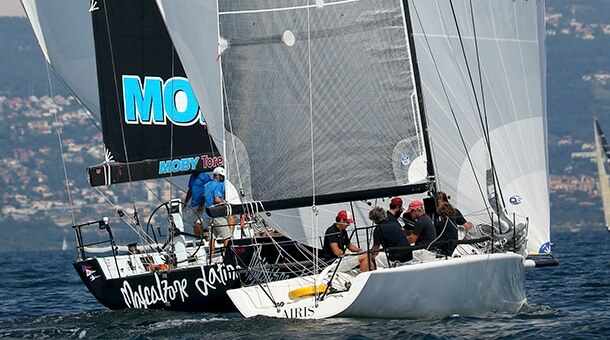 Metropiù Metromeno was born almost as a game, to race the Barcolana. 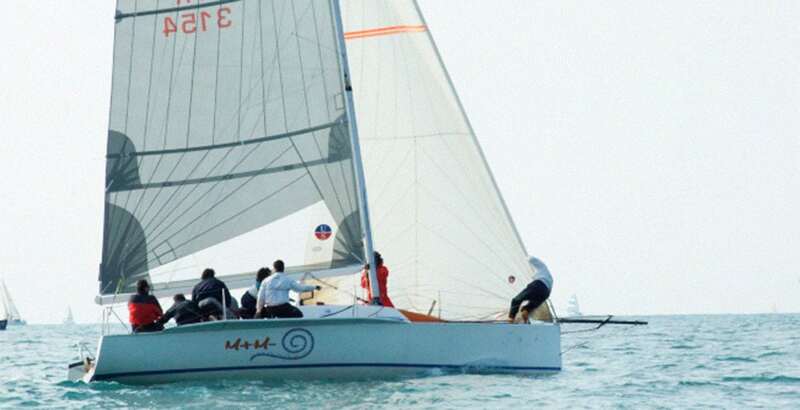 During each meeting of the working group the mast height was constantly growing, until Cossutti came out with a joke that became historic: “Who cares about the length of the mast, more or less (in Italian we say: metro più metro meno) we will win the same”. 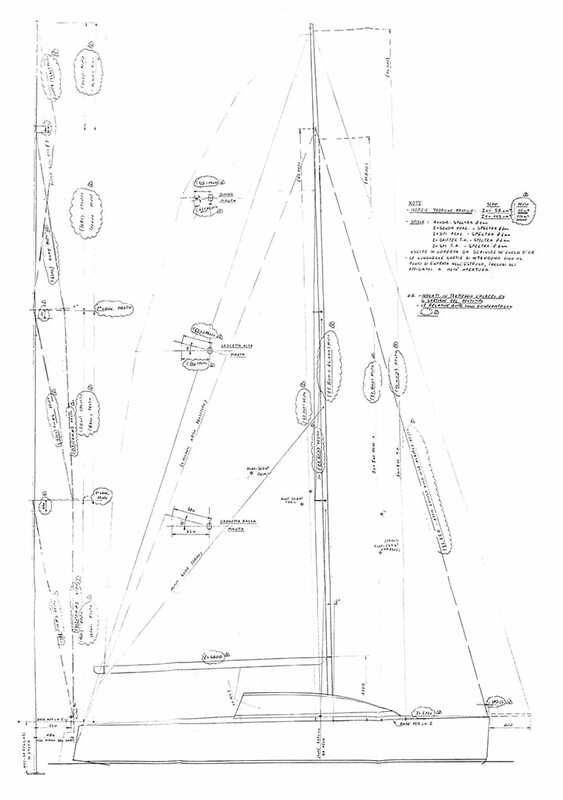 The Metropiù Metromeno was born almost as a game. 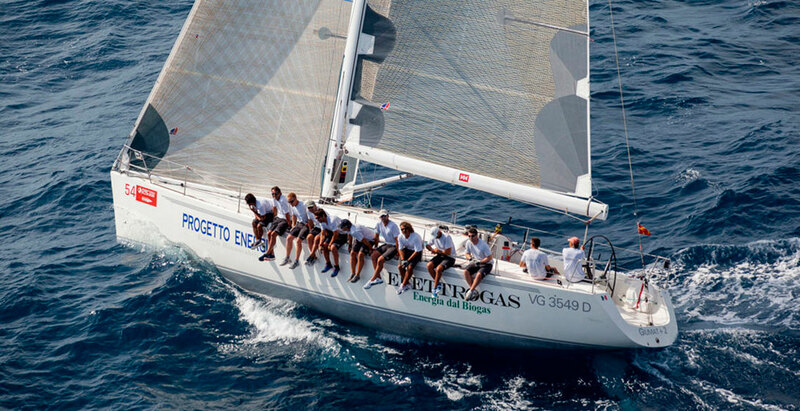 Together with friend Giulio Tarabocchia and Alessio Bonin, who would build her, we decided to build a racing boat of eight and a half meters from scratch, which should have been the lightest and fastest boat of the fleet. This led to the Metropiù Metromeno project, so named at the end of a discussion about the length of the mast which, although not alive, grew at each team meeting; Cossutti ended the debate with a historic sentence: “Who cares about the lenght of the mast, more or less (in Italian “metro più metro meno”) we will win the same”. 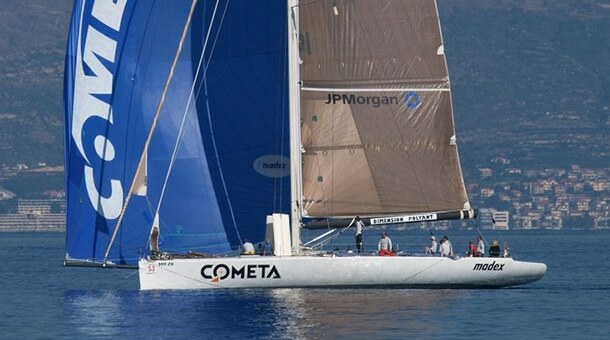 In the same period, in Trieste, another boat was being built with a budget five times bigger than ours. 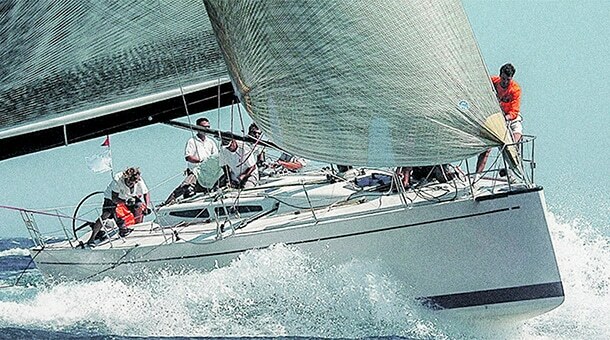 We have always loved “David versus Goliath” challenges and, indeed, we beat them at the first regatta. 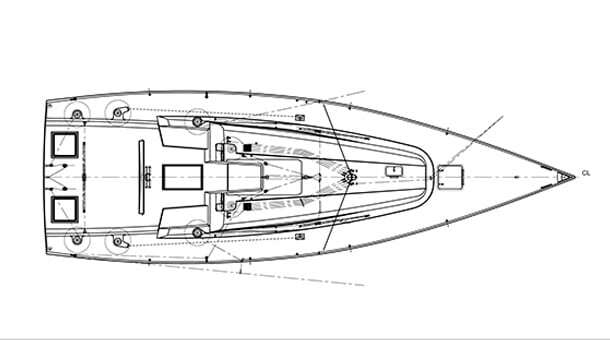 The Metropiù Metromeno is a very light boat, without compromise and with technical solutions designed only to develop maximum speed. 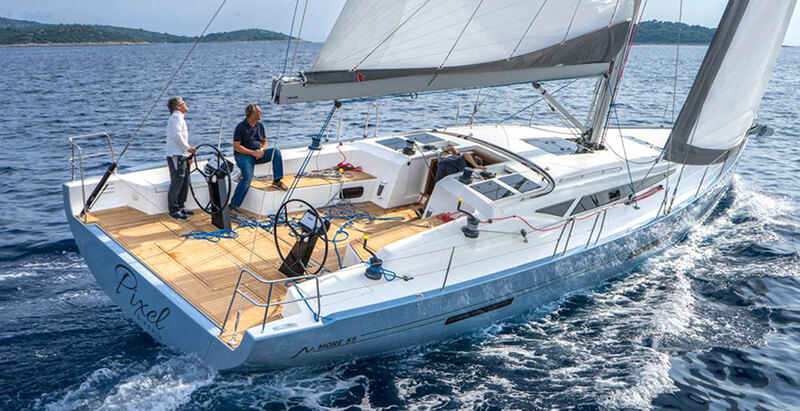 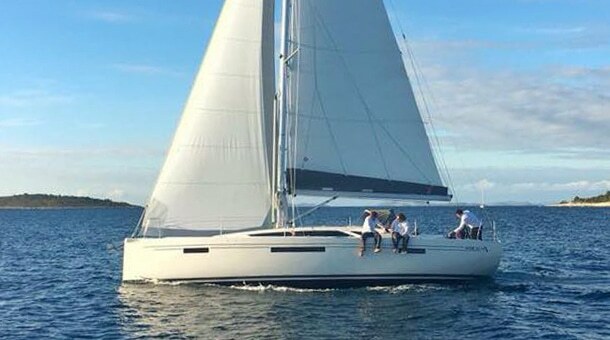 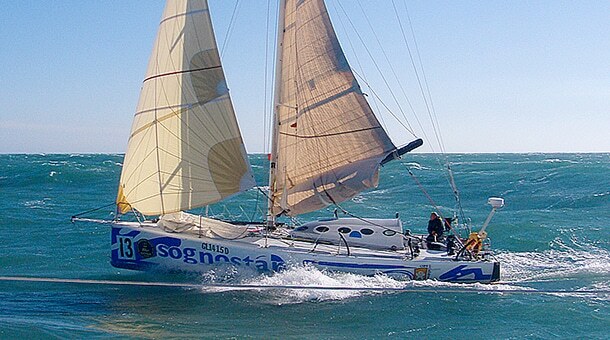 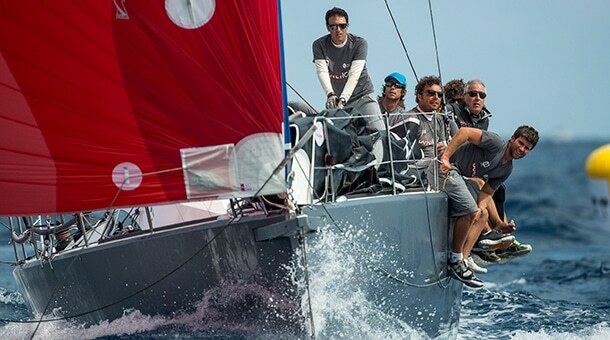 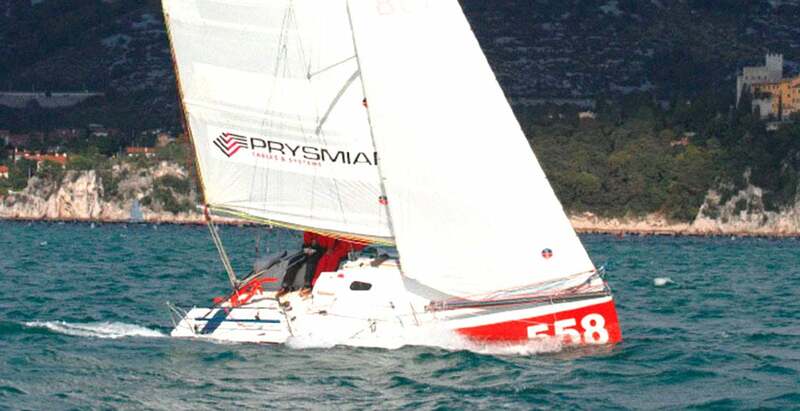 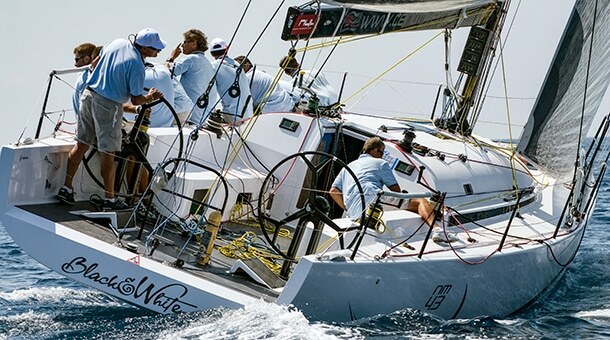 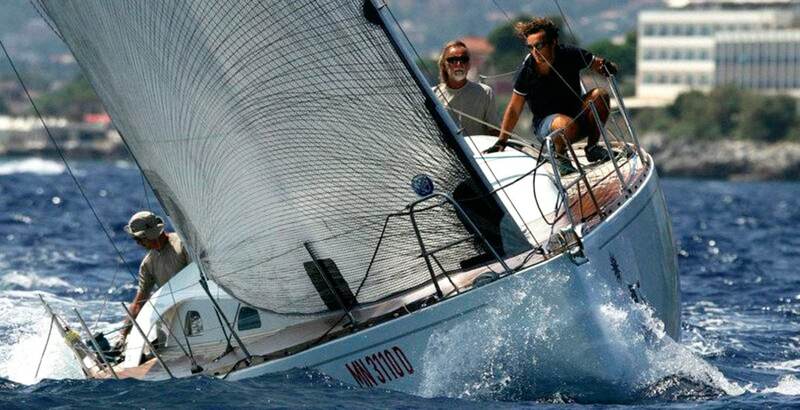 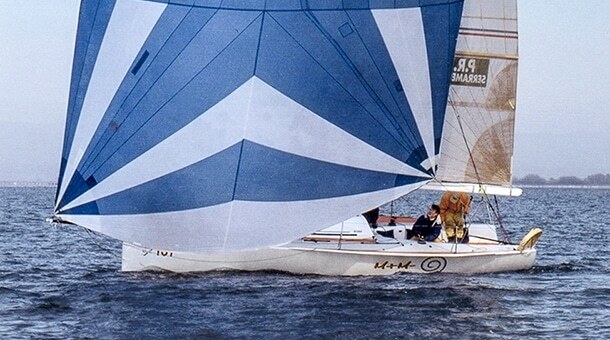 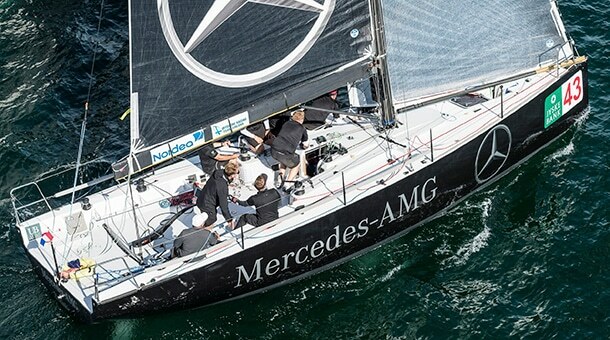 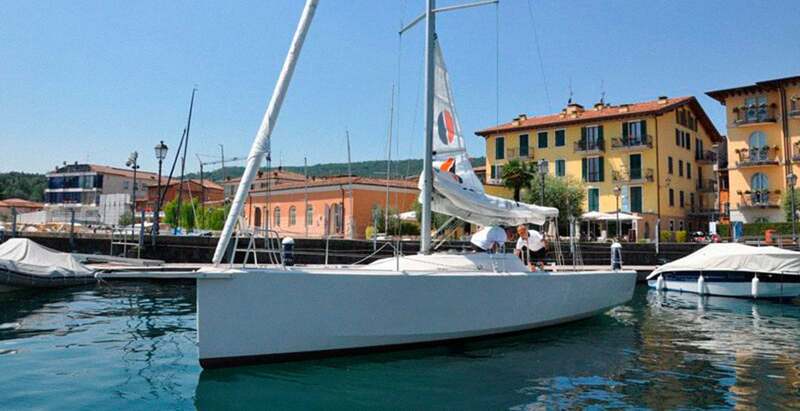 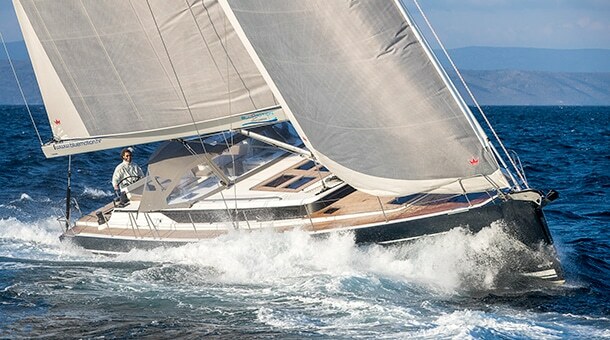 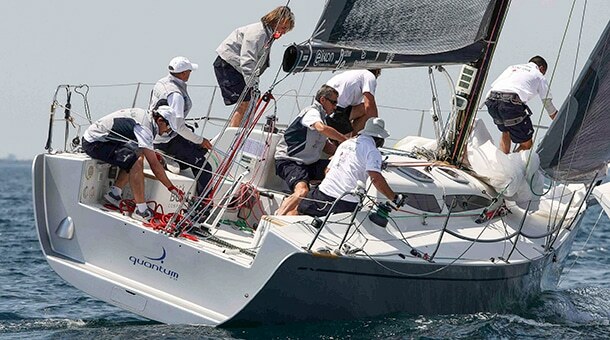 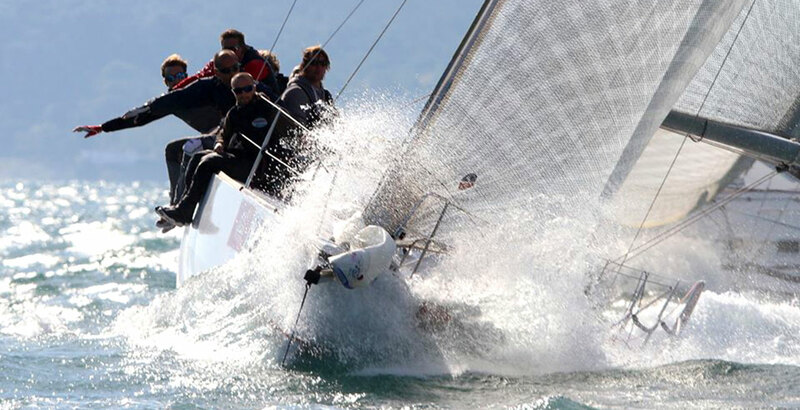 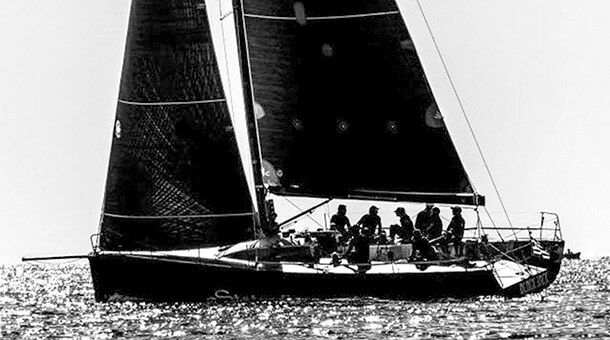 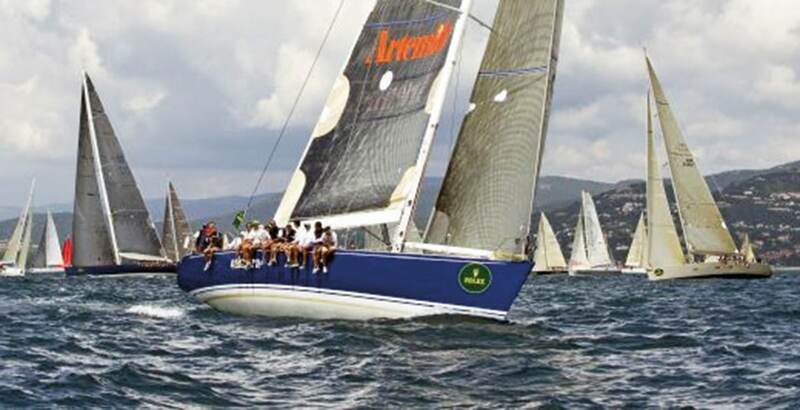 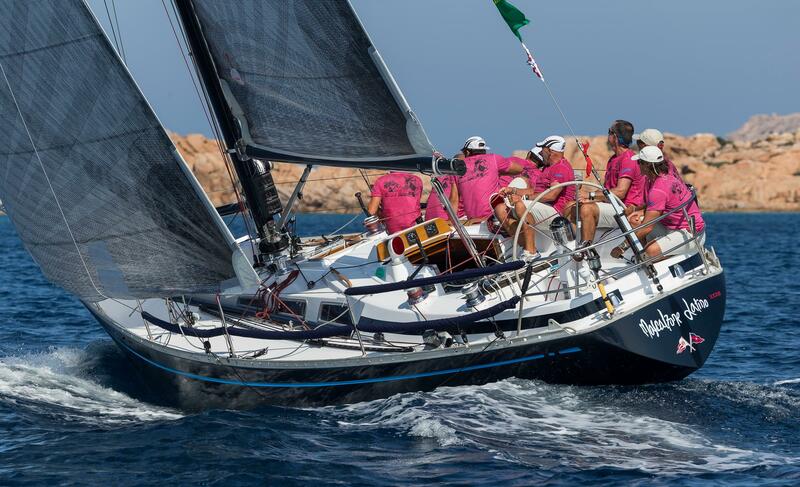 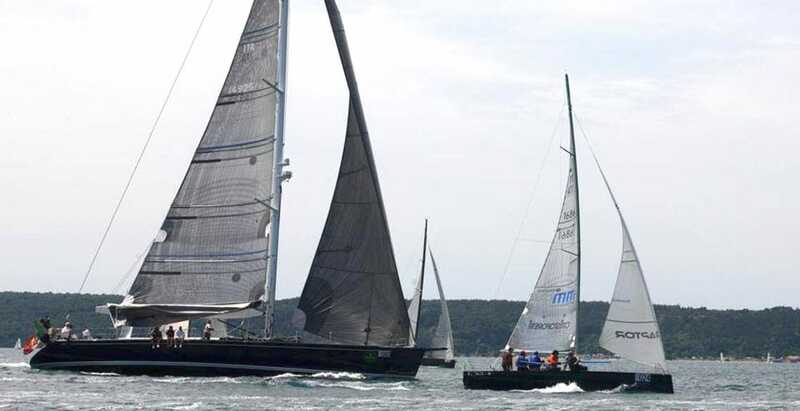 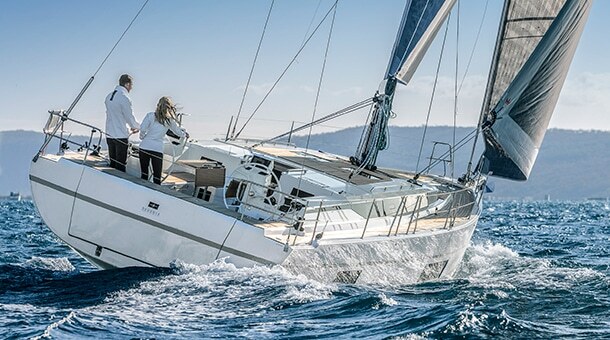 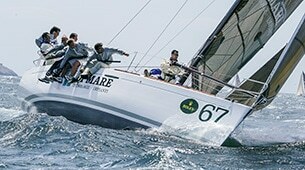 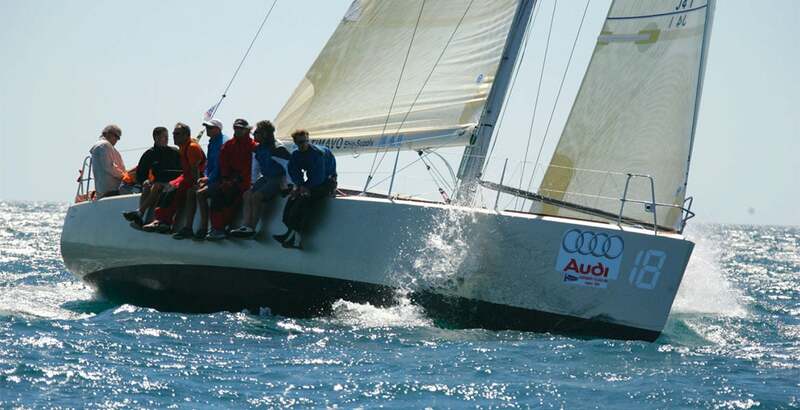 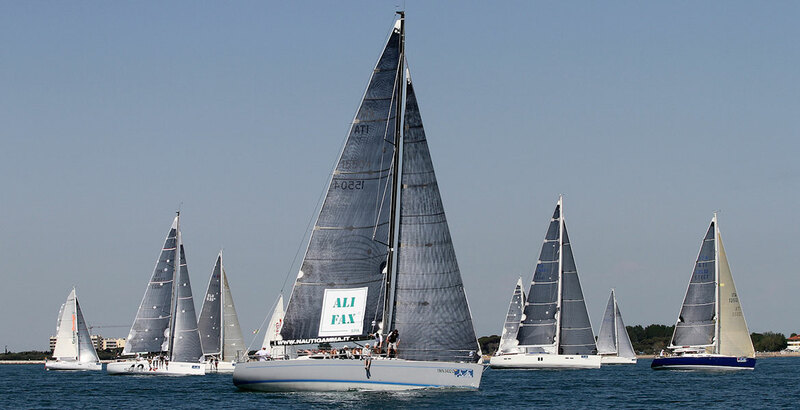 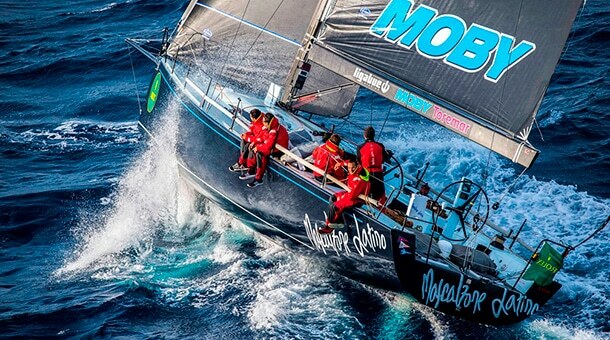 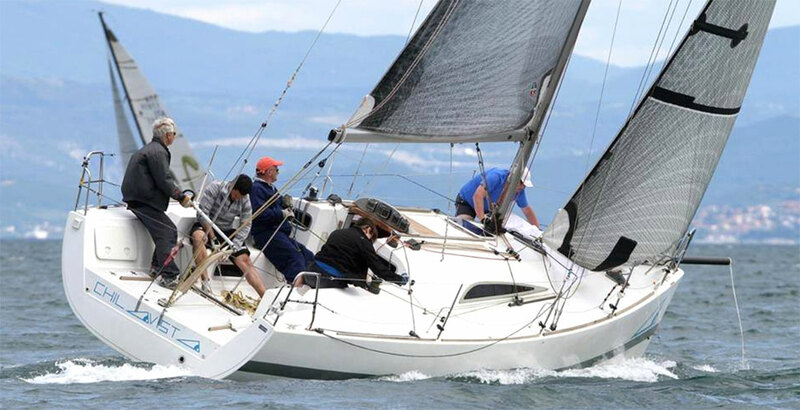 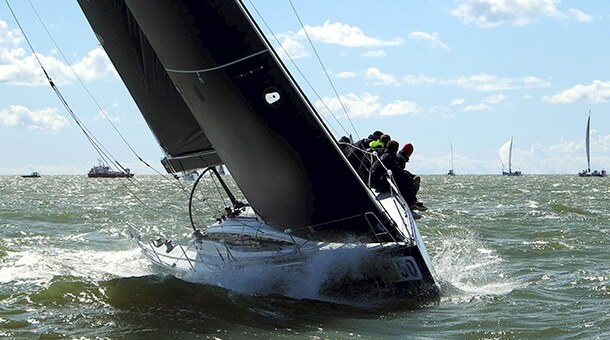 She is a boat with a large sail plan, capable of being very performing with the light winds of the Gulf of Trieste as well as fighting with 40 ft at speed downwind. 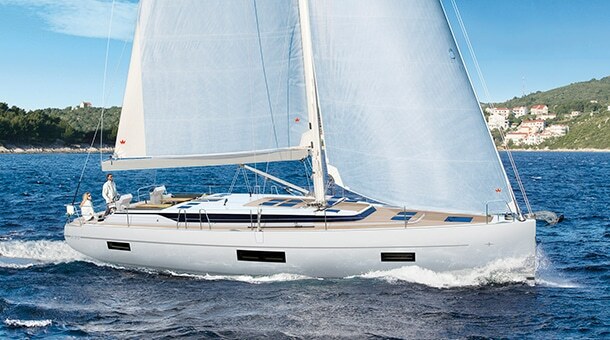 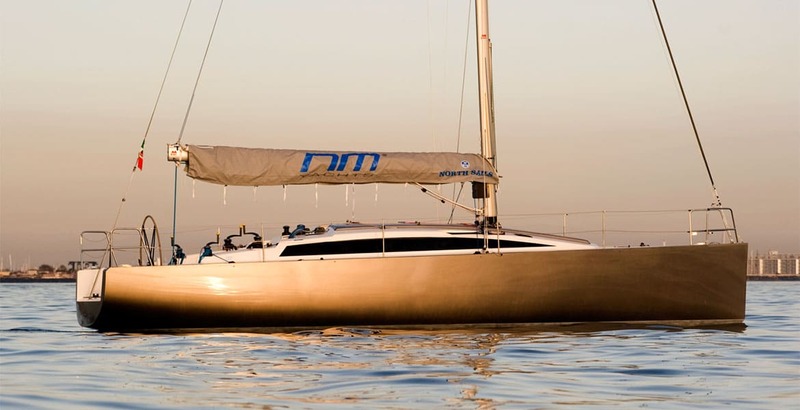 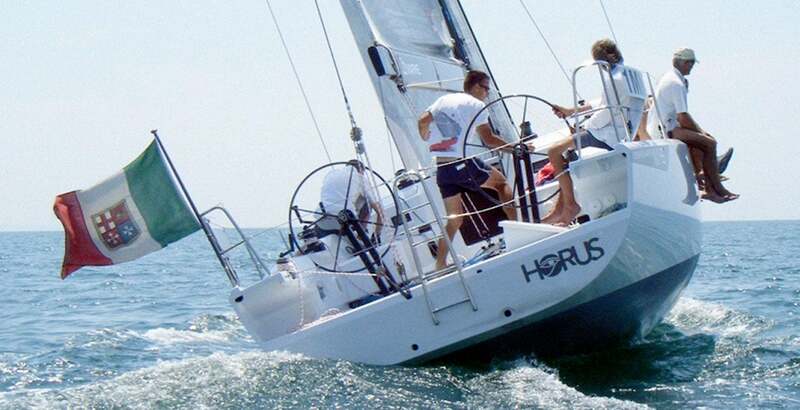 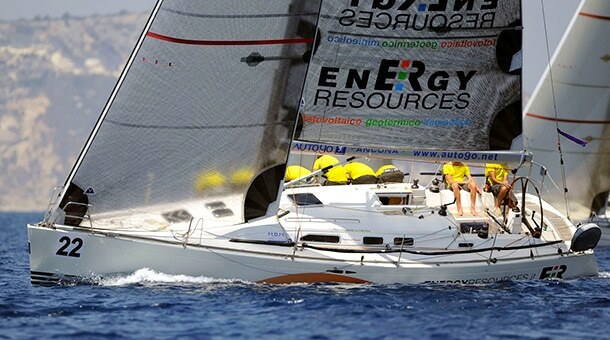 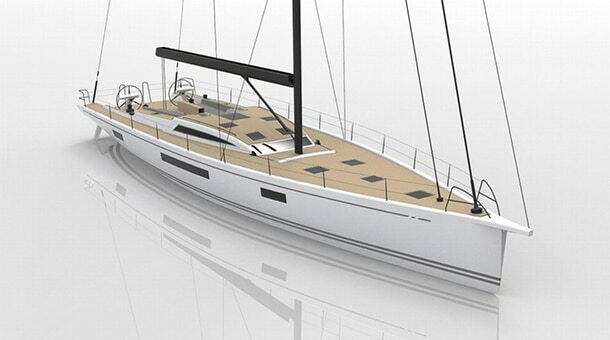 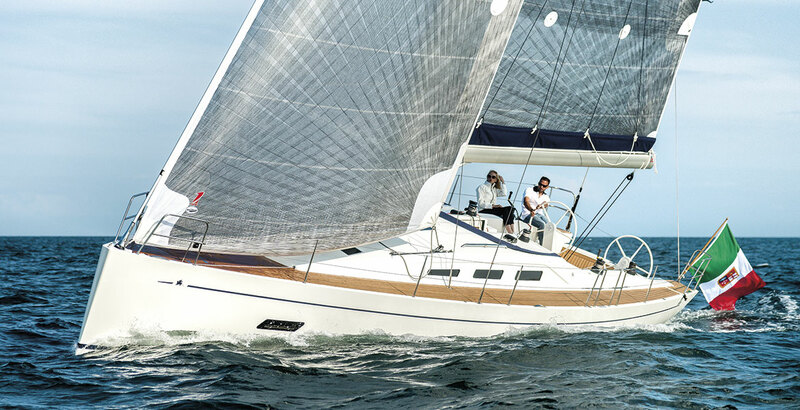 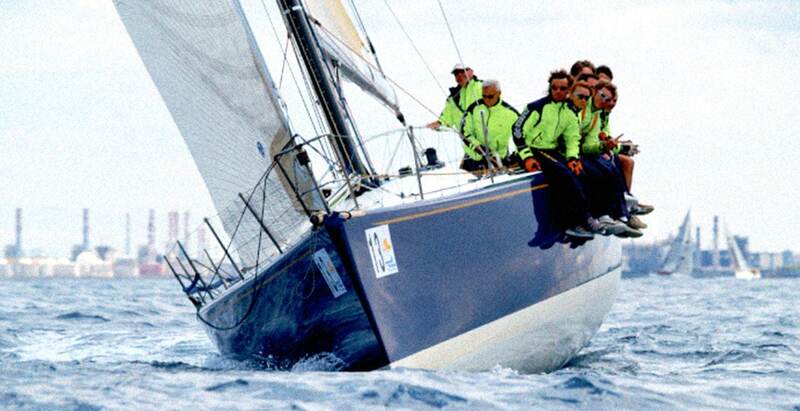 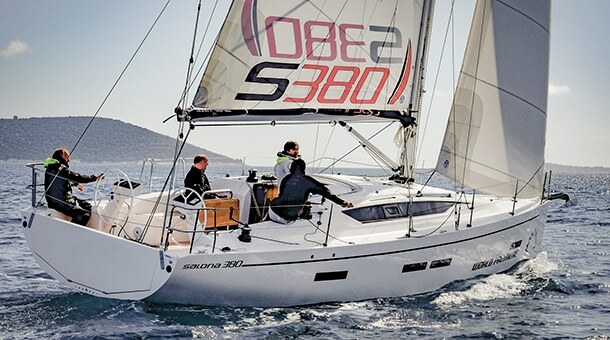 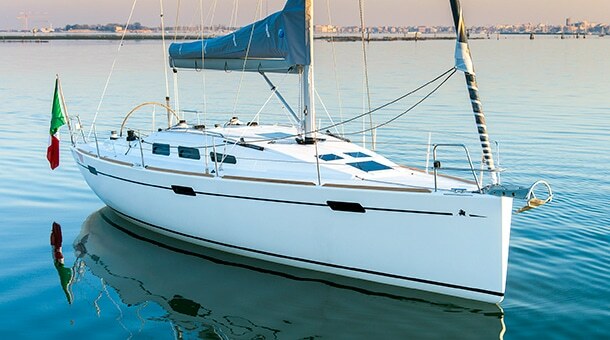 She is a planing boat in downwind sailings, vacuum-built in kevlar and carbon, with adjustable bowsprit. 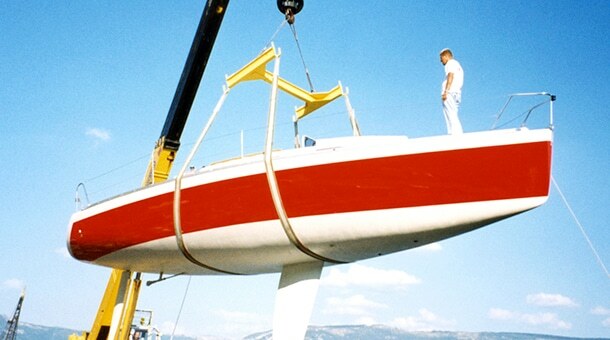 The target of the project was saving weight everywhere, so 20 years ago, she was the first boat in Italy and one of the first in the world to be fitted with the carbon composite chainplates.